The July school holidays have come to an end and sighs of relief can be heard across the Wakatipu. As travellers and holiday makers make their way home, our wonderful town goes back to ‘off peak’ business as usual (which is still busy). But there’s a lot we can learn from our visitors. Those curious folk that take the time to take it all in, wander the streets, explore our surroundings and balk at the price of our avocados. They have set aside time to refresh, recharge and reflect. To sleep in, stay up and sit down together for meals. They pull over for every photo opportunity, they saturate themselves in precious moments and surrender themselves to the vast wilderness. And while they’re relishing in all that makes Queenstown so special, we locals are stuck behind them suffering from severe road rage as we rush to the next meeting. The stress of a busy life a stark contrast to our temporary friends. So, after a busy week at work you carry what is left of you home to your family, the stress and worry still pervading your mind. It’s a struggle to be truly in the moment, like the tourists we are ultimately in the business of serving. 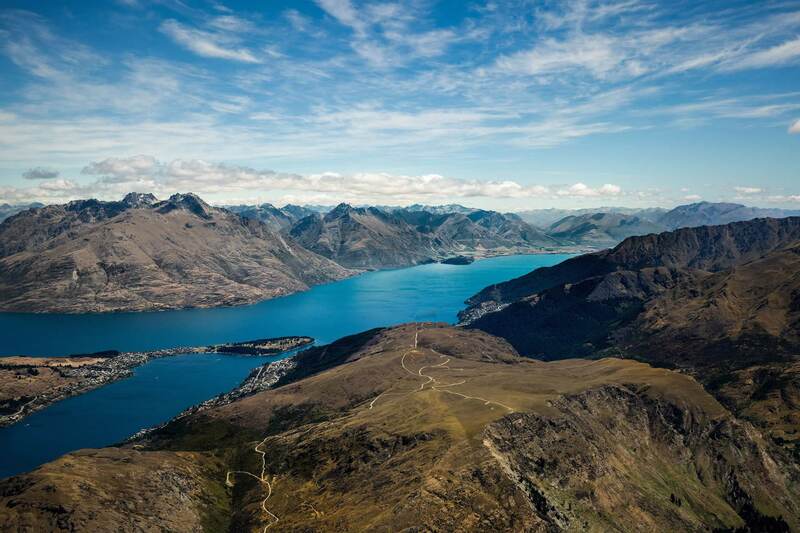 Queenstown is in demand, more than we have ever experienced. Since I arrived ten years ago, the number of visitors arriving at our airport has tripled to 2.1 million per year. Queenstown airport is undergoing massive expansion so it can cater to more than 5 million arrivals by 2031. That is about the same size as Wellington airport is now, with 6 million arrivals each year. Despite this sustained demand, for many established local businesses the fear of the inevitable bust or of ‘missing out’ on their share of the pie, still drives sentiment. Because they have experienced the boom and bust cycles before, when work comes in the door they must say ‘yes’ and they must figure out a way to get it done, no matter how crazy the hours become. Well, the growth is not stopping and I don’t expect demand for infrastructure investment to end anytime soon. This high-pressure workplace culture is not sustainable and I am seeing it more and more in the faces of my clients. Too much work and too little time only leads to crap service, low staff morale, more business risk and eventually, as I have experienced, burnout. So, in 2017 we decided to do things differently. We decided that the strength of commerce in Queenstown had finally outgrown its fragile stage and it was time for us to mature with it. We also wanted to re-focus on why we moved here in the first place – to live, raise a family and flourish. Together with my good friend and business partner Walter, we formed Utility. With a grounding in engineering, infrastructure and finance and a finishing in impact investment, innovation and community mindedness, we have established the Solution Hunters Collective. We work on projects that have a positive and tangible impact on our community. We aim to stop paralysis by analysis and just do something, fail fast and learn. And be comfortable in the ambiguity. We only take on work when we have the time and mental capacity. We are brave enough to say ‘no’ when we can’t solve a problem, then hunt down the great minds that can. Above all we give our clients a good experience, because people do business with people they like. It may sound risky, but I love the simplicity of it. Our standards of living are arguably the highest they’ve been in the history of human kind, but have we hit a point of diminishing returns?